Another green company claims to make 100% natural toothpaste. But as we already learn in the history of our reviews, most of the time this is not the case. 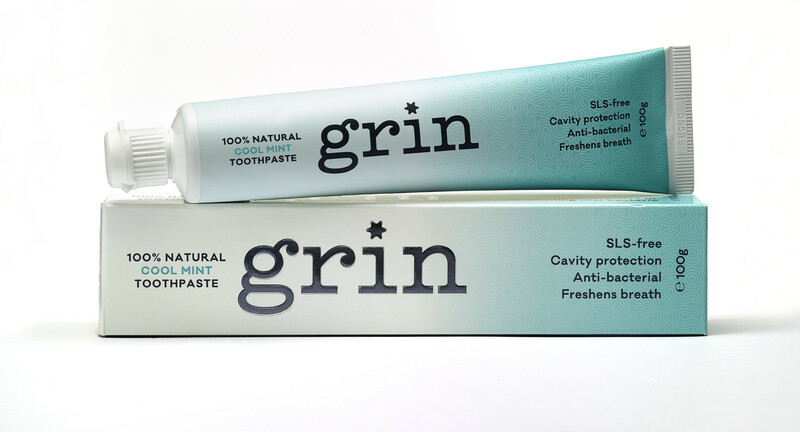 Did Grin Natural, a natural product company from New Zealand actually made 100% natural toothpaste? All ingredients are made in New Zealand. Using domestic ingredients is always the best idea. And Grin Natural Toothpaste use some very healthy ingredients. Ingredients like Propolis Tincture, Manuka Oil Pure, and Organic New Zealand Fine Sea Salt. With so great ingredients this toothpaste can be really healthy. Grin Toothpaste is free from Fluoride, SLS and other dangerous chemicals many conventional toothpaste brands use. Grin toothpaste will make your breath fresh, clean your mouth from bad bacteria and protect you from a cavity. So it is an outstanding product. But is it 100% natural? Betaine is in general synthetic component, but Grin Natural betaine is sourced from sugar beet, so it is not a synthetic component. Betaine is needed to make a foaming. Another important role of the betaine in toothpaste is reliving of dry mouth. Some people may be allergic to betaine, but in general, people are not. Carrageenan is linked with cancer. There are two types of Carrageenan. Undegraded Carrageenan and Poligeenan. But companies when listing ingredients just say Carrageenan. Poligeenan can cause cancer. And thanks to the Grin Natural caring workers I got an email that they don’t use Poligeenan Carrageenan, which means it is a safe ingredient. Copper Chlorophyllin is also a doubtful ingredient. It is added only to give color. Do you need color and have a question mark if this color is healthy or harmful? No, we don’t need colors with some questionable ingredients. Grin says that their Copper Chlorophyllin is sourced from grass, and grass is a natural product. So things dont look so bad after all. Ice Flavour N940 is an unknown element. Grin Company say it is flavor from identical natural ingredients. No idea what that means. But with that N940 number I have significant concerns, this is not a good component. In Grin Company email I got the info that Ice Flavour is sourced from natural menthol which means it is a natural product. When you say it that it looks much better than writing an Ice Flavour N940. People may get scared from word flavor and some unknown number, but when you say natural menthol source everything looks much better and safe. Xanthan Gum is a food additive. People with digestive problems should avoid xanthan gum. Xylitol is also on the ingredients list. So make sure your dog does not eat Grin toothpaste since Xylitol is dangerous for dogs. Overall my point of view about Xylitol has changed and Xylitol is now welcome in toothpaste. Just make sure your dog doesn’t eat it. As we see, things are not so bright as some of the media reported. They said Grin company made the first 100% natural toothpaste. But the reality is that there are many doubtful ingredients in this toothpaste. Many additives and flavors. So I m 100% sure Grin toothpaste is not natural. Instead of warning people about all that flavors used in this toothpaste they warn people about propolis and possible allergic reactions. But if people get allergic reactions it will be from all that flavors, colors and additives. These components are real allergic triggers. Overall Grin 100% Natural Toothpaste is not bad toothpaste, it contains some really healthy ingredients, but this toothpaste is not so natural. It contains many synthetic components. But it is better to brush your teeth with this natural toothpaste than with any other conventional. There are more poisons in any conventional toothpaste than in Grin 100% Natural Toothpaste. As you see I needed to remove most of the review because of my wrong info. I got a nice polite email from GrinNatural where they explained everything about their toothpaste. I have updated all the ingredients I have listed here and things look so much better. In fact, it appears Grin Natural is really 100% natural. All ingredients are derived from natural sources. And on top of that, I see that this company cares about their brand and care about their customers by emailing me with all the information. Grin Company spent many years formulating their product made from 100% natural ingredients. They worked very closely with Massey University NZ to make sure their product is as healthy as possible, effective in teeth cleaning and 100% natural. Massey University NZ also has proved that 100% Grin Natural Toothpaste is effective against 6 common oral bacteria. Knowing that teeth cleaning rating will go drastically up. I am glad they have emailed me to clarify all that was wrong in the original review and I will make sure all my readers read this new true review with all the facts clarified.